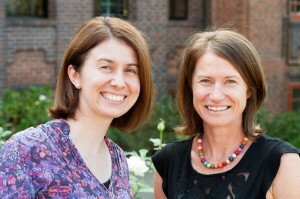 The Young Catholic Women’s Interfaith Fellowship, an initiative of the Australian Catholic Bishops Conference Office for the Participation for Women, is searching for inspiring women to participate in our 2015-2016 leadership programme. The aim of the two-year Fellowship is to cultivate women’s capacity for leadership within the Catholic Church and society. Ideal candidates should demonstrate an openness to spiritual growth and respect for other faith traditions. Women between 25-45 years, having obtained an undergraduate degree, are well suited to commence the Fellowship. These women will be the fifth group to commence the Fellowship since it began in 2006. Academically, each participant completes a Graduate Certificate in Theology accredited by the Broken Bay Institute. 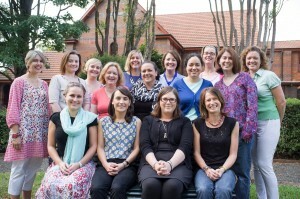 ACBC OPW Fellowship participants 2013-2014 gathered at Mount St Benedict Centre, Pennant Hills, Sydney. The academic program is combined with a residential component that combines time for prayer, meditation, reflection and personal growth at Mount St Benedict Centre, Pennant Hills, Sydney. Highlights of the Fellowship include residential sessions at the beginning of each semester combining personal, spiritual and leadership formation with opportunities for interfaith engagement. Financial and practical support is provided for each participant to ensure travel and accommodation costs are not prohibitive. Previous graduates of the Fellowship have described it as ‘a psychological and social preparation for life’. Others felt the experience helped them become grounded in their spiritual development. ‘The Fellowship opened so many doors for me. It showed me the wealth of knowledge and experience within the Catholic Church and its communities. It also gave me more confidence to engage with the people I meet,’ one participant said. Further information and application forms are available at: http://www.opw.catholic.org.au Applications close on October 1, 2014. Current Fellowship participants are completing a residential weekend of prayer, talks and activities from 24-28 July 2014 at Mount St Benedict Centre, Pennant Hills, Sydney. Interviews and photos available upon request, please contact Aoife Connors on 0450 348 597. This entry was posted in Uncategorized on July 27, 2014 by Mark Wei.